In this article, we'll examine the best small colleges for a bachelor's degree in healthcare administration that keep the student-faculty ratio below 20:1 for close-knit collaboration and less bureaucracy. Healthcare administration majors focus on nurturing the managerial proficiency for performing effective oversight of patient care programs. According to the Bureau of Labor Statistics, healthcare administration will grow by 20 percent through 2026 for 69,800 new U.S. jobs requiring at least a bachelor's degree. Graduating with a healthcare administration bachelor's leads to median pay of $96,540 for great ROI on small colleges' tuition. 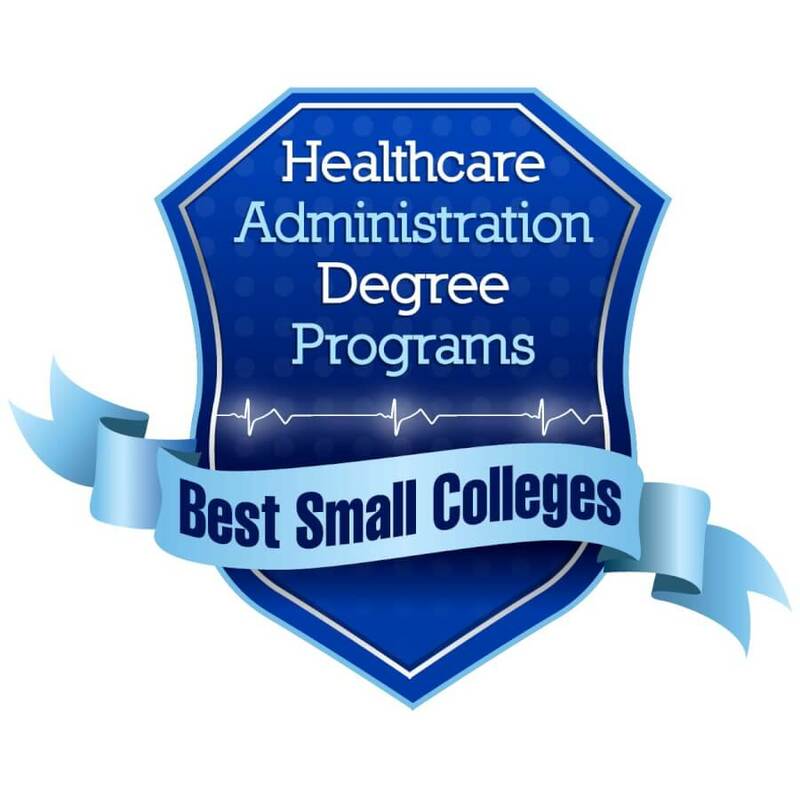 We compiled our ranking of the 15 great small colleges for a bachelor's in healthcare administration using the NCES College Navigator search tool. 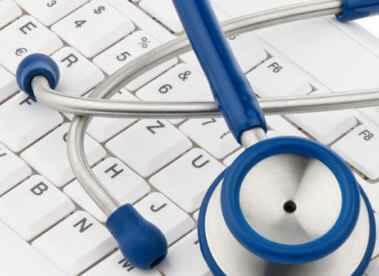 We checked the boxes strictly for healthcare administration, healthcare management, and health information management. We filtered out bigger, less intimate schools by selecting those with undergrad enrollment of 3,000 or fewer students. Selective admission rates had to be below 50 percent and average net tuition under $27,000. Finally, we ordered our best small colleges for healthcare administration bachelor's degrees based on freshman retention rates, from lowest to highest. Founded in 1845 by the Curtis family, Limestone College has developed from South Carolina's first women's college into a small private, coeducational liberal arts school endowed for $17 million. Headquartered in Gaffney with branches from Kingstree and Graniteville to online, the "Military Friendly" Limestone College is ranked the 39th best Southern school by the U.S. News & World Report. Limestone is also hailed America's 363rd safest institution on Niche and 300th top baccalaureate university in Washington Monthly. Chaired by Stefanie Corbett, DHA, Limestone's Bachelor of Science in Health Care Administration features daytime, evening, or online courses for undergrads to build the fundamental skills for leading medical entities. The 123-credit, eight-semester curriculum spans topics from consumer behavior to outcome analysis before the senior, 125-hour health care internship. Corporate grants from partners like MUSC, Novant Health, RxMedic, and Providence Health can lower the bachelor's tuition for employees. Named for activist Fanny Jackson Coppin in 1926, Coppin State University is a small public, historically Black TMCF member of the Mid-Eastern Conference that's occupying 38 acres on West North Avenue in Baltimore, Forbes' 27th best city for education. Given the 2005 IT Education All-Star Award, Coppin was ranked the 19th best wireless campus by the U.S. News & World Report. Coppin State University is also crowned America's 31st top HBCU on College Choice. Open for admission until February 1st annually, Coppin State's Bachelor of Science in Health Information Management is directed by Dr. Irving Smith in the School of Allied Health to train experts for managing confidential patient records. Accredited by the CAHIIM, this 121-credit bachelor's includes on-site courses like technology fluency and medical reimbursement. Mandating a 2.5 GPA or better, the HIM major qualifies students for the Registered Health Information Administrator (RHIA) credential after senior practicum. Affiliated with the Community of Christ, Graceland University is a small private, religious school founded by Col. George Barrett in 1895 that's now endowed for $37.2 million to provide baccalaureate education in Lamoni, Independence and online. Ranked the 146th most grateful grad college by Forbes, Graceland has earned the AIA Iowa Award of Excellence. Graceland University is also named the 441st most selective U.S. school on Niche and 26th best Midwestern buck in Washington Monthly. The CCNE-accredited School of Nursing offers the BA Healthcare Management Major online for Graceland transfers with a minimum 2.0 GPA to handle the business functions of medical delivery systems. Headed by Claudia D. Horton, PhD, the 30-credit bachelor's major could take just 18 months for eCollege undergrads to study quality assurance, health law, human resources, and more. Although not required, Graceland gives the "Power of Opportunity" with internships at facilities like Finley Hospital and Grinnell Medical Center. Sitting atop 40 acres outside Forbes' 76th best city for careers, Concordia University-Chicago is a private, nonprofit Christian LCMS "College of Distinction" that's organized by Rev. Daniel Gard with 100+ majors. Guaranteeing $16,000-$20,000 each year for qualified Lutherans since 2014, CUC is ranked the 75th best Midwestern college and 47th top value by the U.S. News & World Report. Concordia University-Chicago is also designated Illinois' 15th safest and 16th most conservative institution on Niche. Partnered with Resurrection University, Concordia Chicago's College of Arts & Science offers a CAHIIM-accredited Health Informatics and Information Management major with dual enrollment for greater support on the path to RHIA certification. Coordinated by Dr. Vince Hradil, the 2+2 B.S. program expects a 2.5 GPA in courses like data analysis and ICD-CM medical coding. Future administrators apply their patient record keeping skills via clinical affiliations with Presence St. Elizabeth Hospital and Holy Cross Hospital. Noted for alumni like Elizabeth Spencer, Joel Bomgar, and Mary Hawkins Butler, Belhaven University is a small private, Presbyterian liberal arts school established in 1883 that's now endowed for $6 million on 42 acres near the Mississippi Coliseum in Jackson. Labeled a "Best Buy" nine times, Belhaven is ranked the 78th best Southern college by the U.S. News & World Report. In Washington Monthly, Belhaven University is declared the 383rd best national institution and 32nd top regional value too. Face-to-face at the Jackson or Madison campus, Belhaven's Bachelor of Health Administration is directed by Dr. Ralph A. Mason III in the Adult & Professional Studies Division for nontraditional students seeking the business expertise to lead effective patient care teams. Embracing Biblical values, the 124-credit degree accepts up to 45 credits for prior learning before courses like management research and healthcare marketing. BHA majors can also join the Omega College, Belhaven United, Phi Beta Lambda, and MGMA. Opened by Patrick Roger Cleary in 1883, Cleary University is a private, nonprofit HLC-accredited business school endowed for around $813,850 that's offering associate, bachelor's, and master's education from its Livingston County campuses in Metro Detroit. Graded "B" for diversity on Niche, Cleary is recognized for Michigan's second-highest ROI in Bridge Magazine. Given three top 10 awards from OnlineColleges.com, Cleary University is also ranked 329th nationally for health administration by College Factual. Chaired by Dr. Marlo Rencher, Cleary's College of Graduate, Adult, and Professional Studies awards the BBA in Health Care Management on-site in Howell or Detroit and online on Moodle for learning strategies to address business problems specifically in medical environments. Qualifying for the 15% Next Step Scholarship, the 120-credit Bachelor of Business Administration integrates small classes on accounting, communications, health informatics, and more. Undergrads filing the $35 application to Cleary must have a minimum 2.0 GPA or 19 ACT score. Divided into 15 departments, Oakwood University is a private, historically Black CIC member of the Seventh-day Adventist Church that has developed 1,185 suburban acres in Alabama's third-largest city. Snagging first place in the 2008 Honda Campus All-Star Challenge, Oakwood is ranked the 28th best Southern university by the U.S. News & World Report. Oakwood University is also crowned America's 34th best Black college by HBCU Buzz, 74th best religious school on Niche, and 128th top baccalaureate institution in Washington Monthly. Located in the McKee B&T Building, the ACBSP-accredited Department of Business & Information Systems chaired by Hyacinth Burton, MSM, grants a B.B.A. Emphasis in Health Care Administration in Huntsville for undergrads to master sound, creative clinical leadership solutions. The 120-credit curriculum culminates with the ETS Exit Exam after courses like business policy, finance, medical terminology, and health technology. Majors might also intern at Crestwood Medical Center, join Students in Free Enterprise, or travel with Adventist Colleges Abroad. Established by Domino's Pizza creator Thomas Monaghan in 1998, Ave Maria University is a young private, Catholic SACS-accredited institution teaching the "Splendor of Truth" on 1,000 acres in Southwest Florida. Endorsed by The Newman Guide and granted the 2007 Digital Innovation Award, AMU is ranked America's 126th most conservative college with the 70th best dorms on Niche. Ave Maria University was also chosen as the Southeast's 212nd best buck in Washington Monthly and Florida's ninth top private school by USA Today. Ave Maria's Health Science Administration (B.A.) is a multi-disciplinary, four-year degree in the Biology Department that's overseen by Nicholas Curtis, PhD, to train scientific undergrads for managing biomedical research and/or health services. Delivered on-campus primarily in Henkels Hall, the bachelor's spans 120 credits from genetics to health psychology and nutrition. Students could also join the Tri-Beta Honors Society, study abroad in San Marcos, and contribute to the Mother Teresa Project. Doubling its enrollment since 2008, Washington Adventist University is an increasingly popular private, nonprofit Protestant NAICU institution that's using its 19-acre campus in Takoma Park, a Tree City USA, as the "Gateway to Service" for students from 40 states. Affiliated with alums like Roscoe Bartlett and Rachel Roy, WAU is ranked America's 50th most diverse college on Niche. Washington Adventist was named the 195th best baccalaureate school in Washington Monthly and 258th top value by The Economist too. The School of Health Professions, Science & Wellness started the Health/Fitness Management B.S. for WAU students seeking Christocentric professional preparation for instituting effective programs in today's wellness promotion industry. Directed by Alvin Fuentes, M.S., the 120-credit bachelor's leads to the ACSM's Health Fitness Specialist credential after courses like kinesiology, exercise prescription, and consumer health. Undergrads could also add the Coaching Minor, intern with NovaCare Rehabilitation, and get work-study jobs in the new Boyer Wellness Center. Given Carnegie's Community Engagement classification, Nebraska Methodist College is a private, coeducational health sciences institution founded in 1891 that's providing close-knit programs with HLC accreditation on its 87th Street campus in Omaha, the 44th largest city. Chosen for the 2017 Active Learning Center Grant, NMC is ranked America's 63rd most popular allied health college by College Factual. Nebraska Methodist was graded "A+" for value on Niche and awarded Victory Media's "Military Friendly" badge. NMC's School of Health Professions formed the Bachelor of Science in Healthcare Management with a hybrid on-campus and online format for undergrads to gather the multi-faceted organizational leadership skills to improve patient care outcomes. Chaired by Lisa Fuchs, MHA, the 120-credit degree builds on a business core of courses from regulatory issues to budgeting and strategic planning. Students may also add the Healthcare Sign Language Minor, transition into the Healthcare MBA, and intern at Children's Hospital of Omaha. Endowed for $35 million, La Sierra University is a private, coeducational AAA-accredited Seventh-day Adventist school belonging to Loma Linda University until 1990 that's now independently holding 150 acres in the Inland Empire suburb of Riverside. Although it placed #1 for student debt load in California, La Sierra is ranked the 44th best Western college by the U.S. News & World Report. La Sierra University stands as America's 173rd best free application school on Niche and top learning environment in The Wall Street Journal. Housed in the School of Business, La Sierra's Health Care Management BS is directed by Dr. John Thomas in the Business & Society Division to support undergrads committed to reaching the highest administrative levels of today's complex medical providers. Recognized by PAHCOM, the 62-unit, upper-division major applies Christian ideals in courses like economics, histology, managerial finance, and information systems. Students can also volunteer at Magnolia Rehabilitation, earn the Zapara Scholarship, and join the award-winning Enactus team. Occupying 162 acres of Gregg County in Forbes' sixth most booming small city, LeTourneau University is a private, interdenominational Christian technical institute opened in 1946 that's now endowed for $20 million with alumni connections from Boeing to Houston Methodist Hospital. According to the U.S. News & World Report, LETU is the West's 23rd best college and 15 most vet-friendly school. LeTourneau University was also applauded for the 178th best business studies on Niche and 180th top ROI by PayScale nationwide. Designed by healthcare CEOs and CFOs from East Texas, LeTourneau's Health Care Management BS belongs to the ACBSP-accredited School of Business for undergrads interested in sparking leadership innovations that advance patient well-being. Available online on Canvas, the 126-credit bachelor's directed by Dr. Douglas Nash is accelerated with seven-week courses from financial analysis to information security. Students might also study abroad in Sweden, join HASA meetings online, and continue for the M.S. Healthcare Administration. Sponsored by the Conference for Mercy Higher Education, Maria College is a private, nonprofit Catholic bachelor's institution established in 1958 by Sister Mary Borromeo that's ready to help "Find Your Course" on its nine-acre, residential campus on New Scotland Avenue in Albany. Graded "A" for safety on Niche, Maria is ranked the 26th most affordable small college east of the Mississippi by Great Value Colleges. Maria College of Albany also placed 129th nationally for health professions preparation on College Factual. Taught by tenured faculty under Chair Robert J. Cella, MD, Maria's Bachelor of Science in Healthcare Management is a four-year, discussion-based program focused on exposing students to the intricacies of clinical business decisions. Rooted in liberal arts, the 120-credit B.S. integrates a required internship between courses like quality management, managerial finance, and informatics. Other opportunities include attending the Weekend College, volunteering with Alliance for Positive Health, and joining Veterans Club. Linked to prominent alums like Lee Janzen and Baxter Troutman, Florida Southern College is a private, coeducational Methodist school endowed for $71 million in the Sunshine State Conference that's holding 113 acres near Lake Porter in Polk County. Bestowed the William M. Burke Presidential Award, FSC is ranked the 19th best Southern university and 24th top value by the U.S. News and World Report. Florida Southern College stands as America's 10th best intramural school in The Princeton Review and 131st top Christian institution on Niche. Accredited by the AACSB International, FSC's Barney Barnett School of Business and Free Enterprise delivers the BBA Major in Healthcare Administration in Lakeland for students to form the real-world skills to coordinate health delivery from a humanized approach. Headed by Dr. Elizabeth Krause, the 120-credit bachelor's brings case studies to life with internships at Apollo Behavioral Health, Philips Healthcare, and others. Undergrads may also study in Singapore, get involved with Adam Smith Club, and join the Loop Florida Project. Placed #1 for its 82 percent retention rate, the University of St. Francis is a private, residential Franciscan school founded as Assisi Junior College in 1920 that's now awarding over $19 million yearly to make studying on its 22-acre campus in Illinois' 18th most diverse suburb more affordable. The U.S. News picked USF as the 32nd best Midwestern institution with the 92nd best online education. The University of St. Francis was America's 234th top value in Money Magazine and 49th best Catholic university by College Choice. USF's College of Business & Health Administration earned ACBSP approval for the BBA – Health Care Management program coordinated by Dr. Orlando Griego to produce capable, Christ-like professionals for ethically leading patient care facilities with integrity. Offering an optional 4+1 BBA/MBA track, the 120-credit curriculum challenges Fighting Saints in courses from medical sociology to finite math and business policy. Majors might also intern at Newsome Home Health, pledge Upsilon Phi Delta, and join the Student Business Association.